There is no anti-Polish sentiment In Ukraine and Ukrainians themselves have positive attitude towards Poland. Ukrainian Foreign Ministry Pavlo Klimkin commented on the statement of Polish Foreign Minister Witold Waszczykowski about the refusal to let Ukrainians "set against Poland" to the country. As noted in the Ukrainian Foreign Ministry, Ukraine and Poland have disagreements in assessing the historical past, but this does not affect the attitude of Ukrainians to the Poles. "We would like to emphasize that there are no anti-Polish sentiments in Ukraine, the majority Ukrainians are absolutely positive about Poland, despite disagreements in the assessments of a complex historical past. 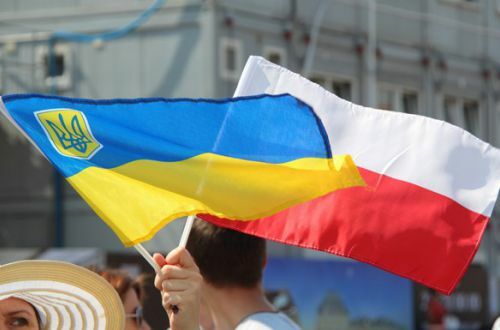 Ukrainian society has a clear understanding of the need to further strengthen cooperation with Poland, both in the interests of both peoples and the whole Europe, "the report said. Ukraine’s Foreign Ministry added that countries should move towards mutual reconciliation without imposing their own point of view on issues of the historical past. "At one time, we have together with Poland reached an understanding that historical reconciliation is possible on the European Christian principle: “Forgive and ask for forgiveness.” We are convinced that we must reconcile through mutual perception of each other, and not to impose each other’s point of view. This concept was proposed to be implemented on a practical level by signing and implementing such roadmap, but we still expect an answer, "the Foreign Ministry added. As it was reported earlier Poland starts the procedures that do not allow the people who are set against Poland to enter the country, including the supporters of 14th SS-Volunteer Division 'Galicia'. Minister of Foreign Affairs of Poland Witold Waszczykowski. According to him, Poland and Ukraine have 'different conceptions of the reconciliation'. 'We realize the importance of Ukraine on geopolitical grounds but the Ukrainians know the importance of their state for our security but think that the problems that separate us, especially historical should remain in the background', Waszczykowski noted.